Your privacy is a primary concern to us at FastenersOnly. Our goal in clarifying our policy on the collection and use of our customers data is to ensure the highest level of confidentiality and security. This policy is a company-wide policy, not limited to our websites. All reasonable measures are taken to guard your privacy and security when shopping with FastenersOnly. When placing an order, you voluntarily provide certain personal and financial information to us and have a right to know how this information is safeguarded, handled and used. Your privacy is important to us. To better protect your privacy the following notice explains the information we collect, how it is used, how it is safeguarded, and how to contact us if you have any concerns. Credit Card and personal information submitted by you. 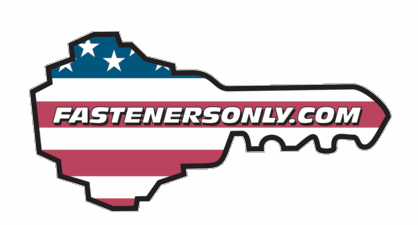 When purchasing items online at FastenersOnly your order is placed through this secure Yahoo website. Your credit and related personal information collected by us when placing your order are used for processing, completing and securing payment for your order. In placing an order by telephone, or through our website you are voluntarily granting FastenersOnly permission to use your personal information for this purpose. Name Shipping/Billing Address, Email address, Phone number, Credit/Debit Card Information Including any additional information required to complete your order. Your information we collect is used to fill your order, to contact you if we have any questions or concerns about your order, or to send you special offers through email if we choose. You will only receive promotional emails if you complete the Connect with Us email box. When you provide your personal of company information to FastenersOnly (such as name, address, phone number, fax number, email address) we will not give or sell your individual information to any outside company for its use in marketing or solicitation. We will maintain the confidentiality of your personal information and it will be used only to support your customer relationship with FastenersOnly and Sawmill Building Systems, Inc. When FastenersOnly asks for your customer information, it is done with the goal of improving the business relationship and order satisfaction between FastenersOnly and the customer. The elements of this website, including text, graphics, logos, designs and photographs, are protected by United States and international copyright laws. Any elements should not be reproduced or used in any fashion without the express written consent of Sawmill Building Systems, Inc., FastenersOnly and/or Simpson Strong Tie Company. Requests for permission of use of any of the said elements contained with this site should be directed to our home office. The website prices may vary from specific branch or store pricing and represent prices for CREDIT CARD payments ONLY. No payment terms are associated with this website or its prices. All products must be paid for in full before shipment. All website transactions will be subject to the terms and conditions contained herein. The parties acknowledge that no writing shall be required in order to make their electronic transactions legally binding, notwithstanding any contrary requirement in the law. As necessary, the parties will adopt as its signature an electronic identification to be affixed to or contained in each Document transmitted by the party. The parties will implement reasonable security procedures to ensure authorized transmissions and to protect business records and data from improper access. By performing such transactions in the forgoing manner, the parties agree that no signature will be required in order to have a legally enforceable electronic commerce transaction, which will honored to the fullest extent under law. The parties agree not to contest the validity or enforce-ability of Signed Documents under the provisions of any applicable laws, including any Statute of Frauds statutes, relating to whether certain agreements be in writing and signed by a party in order to be bound. Any such Signed Documents, if introduced as evidence in any legal or administrative proceeding, will be admissible as evidence to the same extent as business records, which originate and are maintained in documentary form. The provisions under this Electronic Commerce paragraph will be in addition to any other agreements entered into between ConnectorsOnly and Purchaser concerning electronic data interchange. Some products are subject to quantities on hand or may require special ordering and may be subject to minimum order quantities and longer lead times.